This **free** monthly event opens up an entire world of awesome travel destinations. Each month a 3PlayGrounds Travelpreneur will discuss their favourite destinations - but it's also a place to find like-minded friends with whom to mingle, share stories and seek inspiration for upcoming trips. Space is limited at these events so reserve your spot as soon as possible! Feeling unfulfilled, Darius left his corporate job as an accountant in a pursuit to uncover the great mysteries of the world. His quest has brought him to all 4 corners of the globe - he has consulted with mystics in India, marvelled at the northern lights in Finland, explored the Amazon and celebrated the summer solstice in Stonehenge. For him, the chaos and unpredictability of travel is part of the appeal and is a way to hear, touch and see the incredible beauty and diversity that Earth has to offer. Naturally formed swimming holes full of crystal clear water, active volcanos, white sand beaches, turquoise seas and even a pink lake - Mexico, Cuba and Guatemala are full of natural wonders. However - it is not just nature - the region is also surprisingly rich with history both ancient and modern. 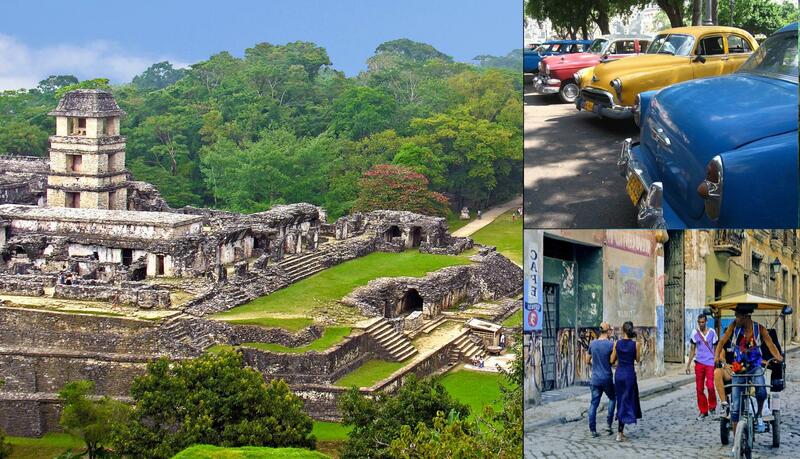 Travellers also encounter Mayan temples rising from the jungle - where human sacrifices once met their end and the bustling city Havana - where the music and vintage cars make you feel like you are stepping into the 1960s. Come listen as Darius tells us about this often overlooked region that is just waiting to be explored by those who are interested in a unique combination of cultural and natural wonders. Darius will also discuss his upcoming trips to Ethiopia and Kenya. MRT: Take the circle line to One North MRT. Use Exit A and cross the street, keep walking straight, past Timber+ food centre, until you reach block 71 (the blue building). Take the elevator to the 4th floor.